Mastitis is by far the most troublesome ailment that any of my livestock has ever had the misfortune of contracting, even pink-eye is no match to this stuff. I was routinely checking my does’ udders to see if anyone was getting close to birthing, when I noticed that my oldest doe, Cheesecake, had a problem. One side of her udder was hot to the touch and swollen. I knew what it was right away. Even though my doe hadn’t given birth yet and wasn’t in milk, she had mastitis. Now, I had never dealt with this problem. I did know, however, that she had a fever and I needed to try milking her out. Her ‘milk’ was about the consistency of snotty, bloody yogurt, and i could tell that me just touching Cheesecake’s bag was incredibly painful for her. I got out as much of that ‘crud’ as I could, but she still had a lump in her udder the size of a gold ball. I was at a loss. I didn’t know how to help my poor girl. I didn’t know anyone who had ever tried curing mastitis naturally. Everyone I spoke to said they always called the vet and had them take care of the problem with antibiotics. After a few days, I was almost to that point of desperation. And then I met Mrs. Tate. She raises some very fine registered Nigerian Dwarves and she had recently had a goat with mastitis that she had cured using natural remedies, which she suggested I try. 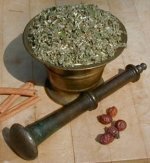 I eagerly followed her advice and went to http://www.firmeadowllc.com and ordered “HerBiotic Herb Mix” and “MammarEaze Salve”, both items that are intended to cure mastitis. Upon their arrival, I began treating my doe with them immediately. I mixed about one teaspoon of the powdered HerBiotic miss with a few tablespoons of unsweetened apple juice and gave this orally to my doe once a day and I rubbed her affected teat with the salve. I did this for a week and that golf ball sized lump in her udder became softer and softer, until i was finally able to milk the final bit of ‘crud’ out of her. My doe was cured! And I was overjoyed! These with definitely be products I keep on hand at all times just in case I ever have a case of mastitis in my herd again! Thank you, Fir Meadow llc. for making such great product, and thank you to Mrs. Tate for suggesting them! Here is where you will find top-of-the-line herbal products for your sheep and goats, including pregnancy tonic! 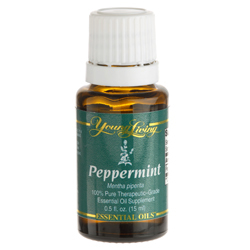 This is where you can buy all the essential oils for your sheep and goats, including the life saving Peppermint Oil! Shop here for all your wound related needs. 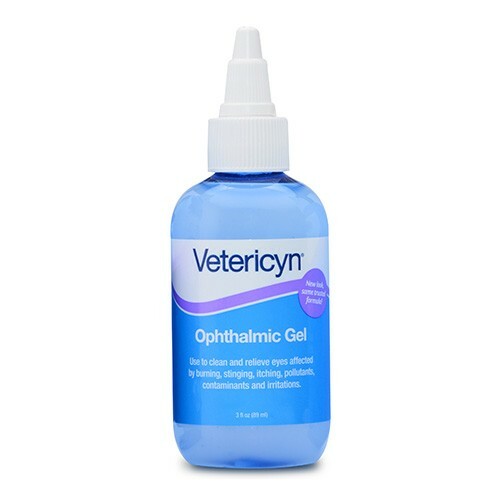 Ophthalmic Gel and Pink Eye Spray is a MUST for curing sudden break-outs of pink eye. Only buy Land O'Lakes Milk Replacer. If you want to keep your lambs and kids alive, use Land O'Lakes.